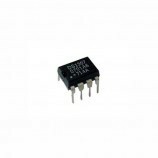 The RTC DS1307 AT24C32 Real Time Clock Module is a two wire (I2C) protocol interfacing with microcontroller. 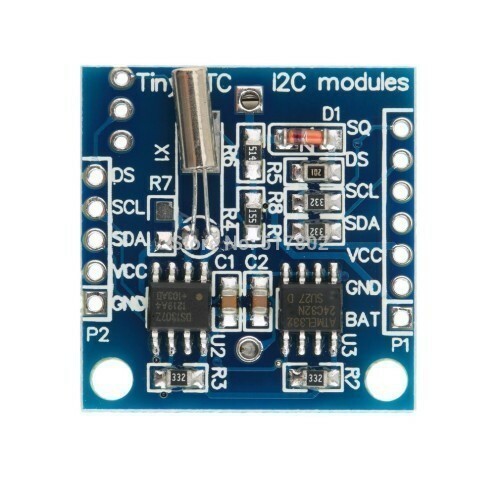 DS1307 I2C real time clock chip (RTC). 24C32 32 K I2C EEPROM memories. Using LIR2032 rechargeable lithium battery and charging circuit with. DS1307 with battery backup cannot solve the problem of literacy. Fully charged, can provide DS1307 timing 1 year. Compact design, 27mm * 28mm * 8.4mm. 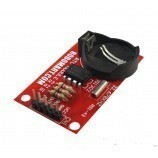 Leads to the DS1307 clock pin provides the clock signal for the microcontroller. To design real time clock. 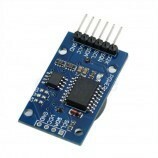 Also Searched as: rtc module ds1307 arduino, rtc module ds1302 arduino, rtc module for raspberry pi, rtc module price, robomart rtc module, tiny rtc module, raspberrypi rtc module, mini rtc module.